Home WMA-BK-6514SFXG Black Dawg Aztec Gold Vintage brass 14 x 6..5"
Black on brass with Aztec gold hardware snare drum. WorldMax snare drums look and sound amazing. Using high quality hardware and a range of shell types, it is hard to find a better sounding selection of drums at such incredible prices. A beautiful and classic looking drum with the sound that all current drummers would feel very comfortable with. 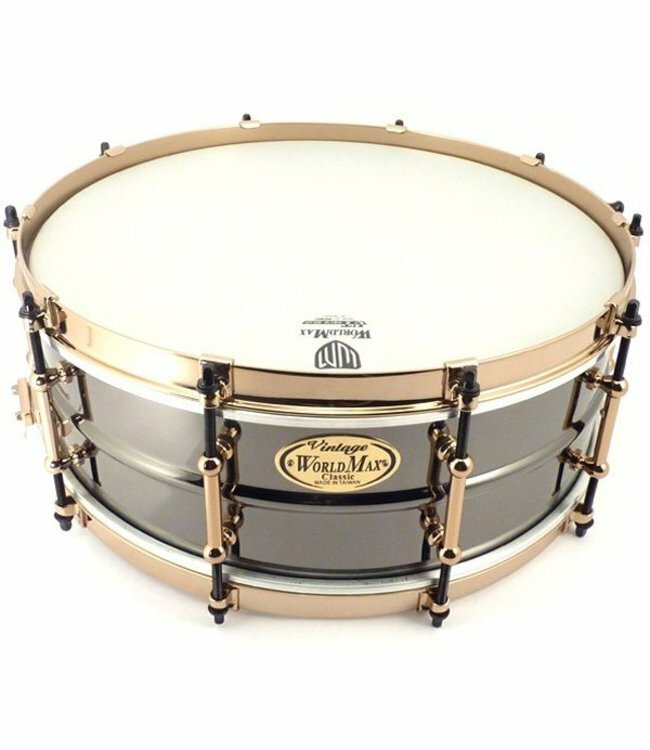 Matching tubes and single flange hoops make this a very desirable snare drum.